This is the third in a series of Nisga'a clan figures. There are four major clan crests among the Nisga'a of the Nass River Valley. Each family in a Nisga'a village is a member of one of these clans. Half of this edition has been printed on white paper and half has been printed on beige paper. 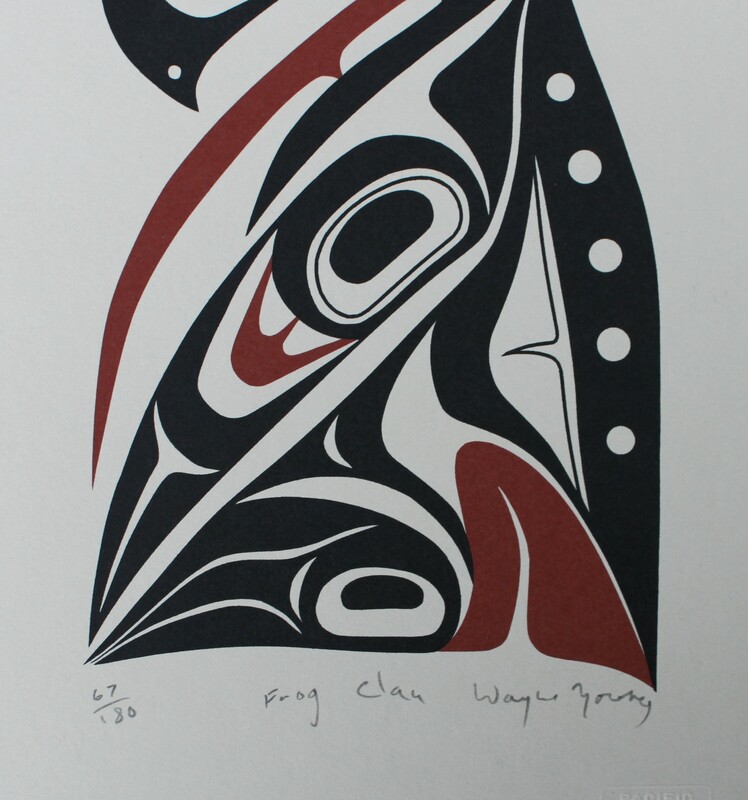 This limited edition silkscreen print titled "Frog Clan" by Wayne Young was hand produced by the screen printing process. It is the only limited edition printing of this design. The artist has inspected and signed each copy in the edition. All trial copies of this edition have been destroyed and the printing stencils obliterated.